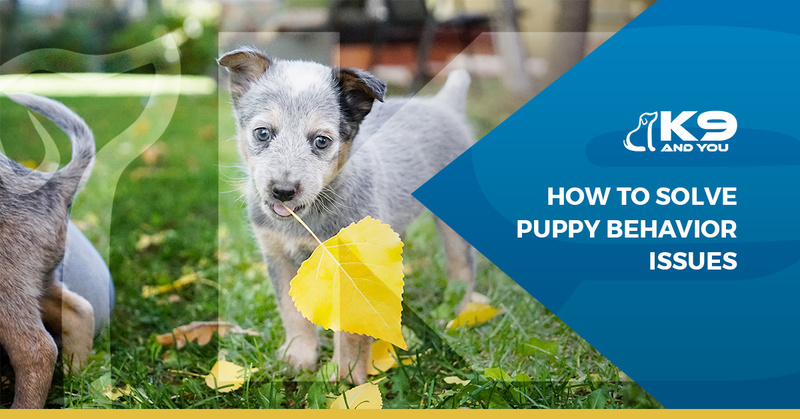 Puppies are full of so much energy and fun that when people consider adopting a puppy, they easily forget about some of the rather annoying behaviors that also come as part of the package. Puppies need to be trained where to go to do their business, not to jump on everyone, what to chew on, and broken of a whole host of other behaviors that can be destructive. Today, K9 and You in Houston will touch on just a couple of the behaviors that are common in puppies and then show you how to address each one. When you are done reading, call us to learn about the different classes we offer. Chewing is a natural behavior for all puppies, but it is not okay when they have found your favorite pair of shoes and chewed them to a pulp! Chewing is part of how they explore the world, but it is important for them to know what is and is not acceptable for them to chew. Like infants, puppies experience pain as new teeth come in and chewing is a way to relieve this pain. Redirecting puppies is typically the best and easiest way to show them what to chew on. For example, when you catch them chewing on the shoes you just bought, resist the urge to smack them with a rolled up newspaper. Not only is this not effective, it can damage the relationship between you and your puppy. Instead, take the shoe from them and immediately replace it with a chewing toy that is appropriate to their size and jaw strength. In addition, one way you can help your puppy is to not leave temptation in their path. In other words, look around your house through their eyes and be sure to put away any items that might be especially tempting for them to chew on. If your puppy is particularly stubborn about chewing inappropriate items despite your best efforts, consider purchasing a chewing deterrent. These are typically available in spray form, are non-toxic, but definitely not pleasing to the taste. Mouthing in a puppy is different from a dog who is biting out of fear or aggression. 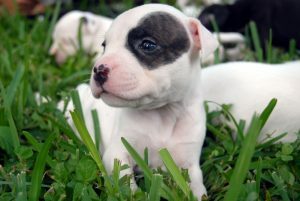 Just like babies, puppies explore the world with their mouths. Puppies eat, play, and chew with their mouths. They do not realize that mouthing behaviors are not the way that humans play, so you will need to teach them. A first approach to this is to substitute a chew toy when they try to gnaw on your fingers or toes. Other ways to play with them are non-contact such as tug-of-war and fetch. Make sure to provide a variety of interesting toys for your puppy to interact with. When you take your puppy to the dog park, make sure they are current on their vaccinations, and then be sure to provide them this physical outlet so that they can play with other puppies where mouthing would be more appropriate. If you are still struggling with their mouthing, you can buy a taste deterrent. Spray the parts of your body or clothing they tend to mouth the most. Stop moving and wait for them to realize they don’t like what they taste. When they let go, praise them abundantly so that they associate the praise with the cessation of the behavior. Remember, puppies will learn, but you need to be extra patient and understanding during this time. Sign up for our newsletter to receive monthly specials! ©2018 K9 & You® | All rights reserved.